Venezuelan opposition leaders Leopoldo Lopez were taken away from their homes. Two of Venezuela's leading opposition figures were taken away from their homes by the country's intelligence service early Tuesday morning, according to their families. 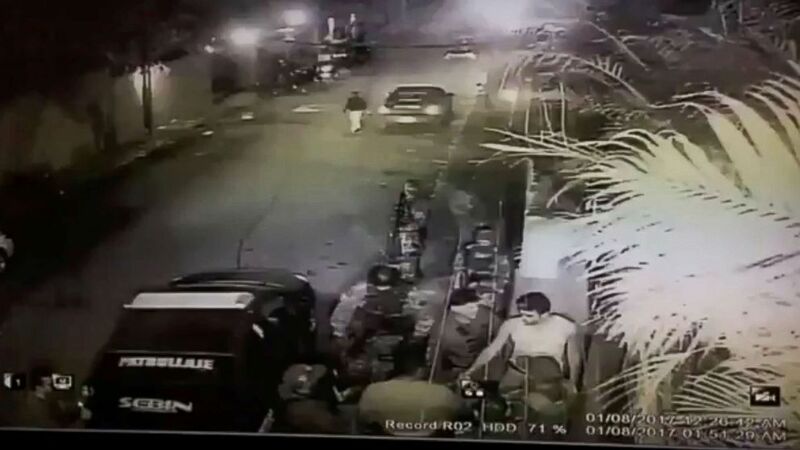 Family members posted videos of opposition leaders Leopoldo Lopez and Antonio Ledezma being detained and claimed that Venezuelan President Nicolas Maduro should be held responsible for whatever happened to them. "12:27 am: The time when the dictatorship kidnaps Leopoldo at my house," Lopez's wife, Lilian Tintori, tweeted in Spanish. "They just took Leopoldo from the house. We do not know where he is or where he is being taken. Maduro is responsible if something happens to him," she wrote in a separate tweet. (Lilian Tintori/Twitter via Reuters) A still image taken from a social media video is said to show the moment in which opposition leader Leopoldo Lopez is led into a vehicle marked with "Sebin", Venezuela's intelligence agency, in Caracas, Venezuela, Aug. 1, 2017. 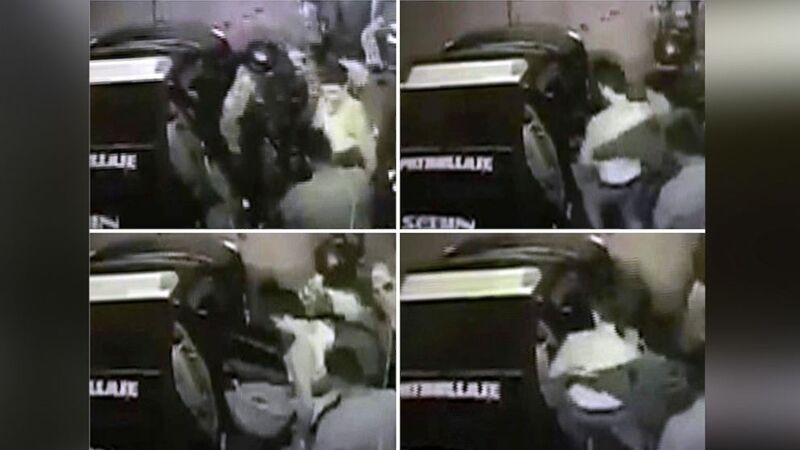 Tintori also shared a video that appeared to show Lopez being pushed into a vehicle marked "SEBIN," an abbreviation for Venezuela's intelligence agency. The detentions come amid heightened tensions following months of protests that have resulted in more than 100 deaths, according to the Associated Press. On Sunday, the government held a highly controversial vote that resulted in the creation of a new legislative body that Maduro has called for to redraft the country's constitution. Lopez and Antonio Ledezma had recently called for the public to boycott Sunday's election and the U.S. condemned it. (Lilian Tintori/EPA) A video-grab combo obtained through Twitter by Lilian Tintori, wife of opposition leader Leopoldo Lopez, allegedly shows the moment of the arrest of Leopoldo Lopez, who remained under house arrest in Caracas, Venezuela, Aug. 1, 2017. The U.S. authorized new economic sanctions against Maduro on Monday in retaliation for what it referred to as "illegitimate elections" that it said undermined Venezuelan democracy. “Yesterday’s illegitimate elections confirm that Maduro is a dictator who disregards the will of the Venezuelan people,” Secretary of the Treasury Steven Mnuchin wrote in a statement Monday. "By sanctioning Maduro, the United States makes clear our opposition to the policies of his regime and our support for the people of Venezuela who seek to return their country to a full and prosperous democracy." Lopez was granted house arrest last month after serving three years in prison in connection with charges that he incited violence during anti-government protests in 2014. Ledezma has been under house arrest since 2015 after being imprisoned on charges that he was plotting a coup against Maduro.